The lights you see are from the KII Meter. I hope you find the videos interesting. Dinner and Ghost Walk tickets go on sale July 2nd. The Sweetwater County Library opens at 9 am and is the only place tickets may be purchased. Tickets are $50 each or $75 for two. Local chef JOSH MACE will be preparing an Italian dinner. Josh is the 2012 Chef’s Challenge People’s Choice Winner. It is always exciting to me to find new devices that can help us in the search for the paranormal. Some clever person is out there right now working on something that will make our job that much easier. As I posted previously, we learned a bit from Britt Griffiths of TAPS while in Estes Park, Colorado. The REM Pod is one of the new items that were shown to us. TAPS or Ghost Hunters has used this item on their show this season and some of you might recognize it. This new REM Pod uses a mini telescopic antenna to radiate its own independent magnetic field around the instrument. This EM field can be easily influenced by materials and objects that conduct electricity. Based on source proximity, strength and EM field distortion (4) colorful LED lights can be activated in any order or combination. 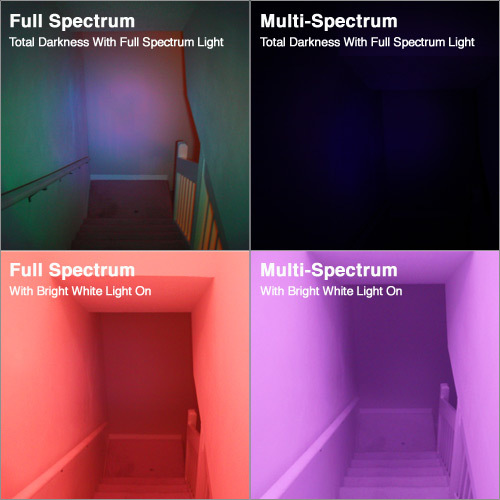 This new feature is intended to further help promote and advance paranormal research. Mel Meter is another item that was new to us. There is a lot to learn about this item. 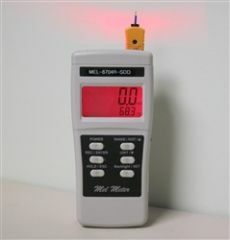 The Mel Meter Model 8704R-Vibe is an intelligent microprocessor based instrument specifically designed for Paranormal Investigators & Enthusiasts. Several Important features have been incorporated into this durable, precision hand held instrument. All of them accessible with the meter being held in on hand. That’s right…the Mel Meter is the only Instrument that can do this. If you’re a ScyFY Channel Ghost Hunter fan, you’ll notice that during their Investigations, they will often encounter an EMF change which is usually followed by a significant Temperature drop. Now, imagine being able to validate both changes simultaneously, and be able to track the source in real time with one hand in total darkness! No more fumbling for a flashlight to see the display in the dark. This feature allocates 100% of the micro-processors scan speed to monitor dynamic EMF changes. The display can update so quickly that your eyes will barley be able to keep up with it. If something is on the move, this feature can be activated with the push of a button. I like to use the “Record” function in this mode because it can capture the Min & Max measured values. So, if you have a EMF meter with a standard LCD display, get ready for a big change! The term Full Spectrum refers to being able to see further into the spectrum of light than our naked eyes can see. We can see only a portion of light that actually exists in the world. Beyond that is ultraviolet (or UV) and infrared (or IR). Some theories suggest that paranormal entities can and will show themselves in the UV or IR ranges explaining why we generally cannot see them with our naked eye or catch only a quick glimpse of them. The ability to record within these ranges have the possibility of documenting these entities that are beyond our vision. These are just a few items that we are hoping to acquire at the SWC Library. Stay tuned, they are now on our wish list.